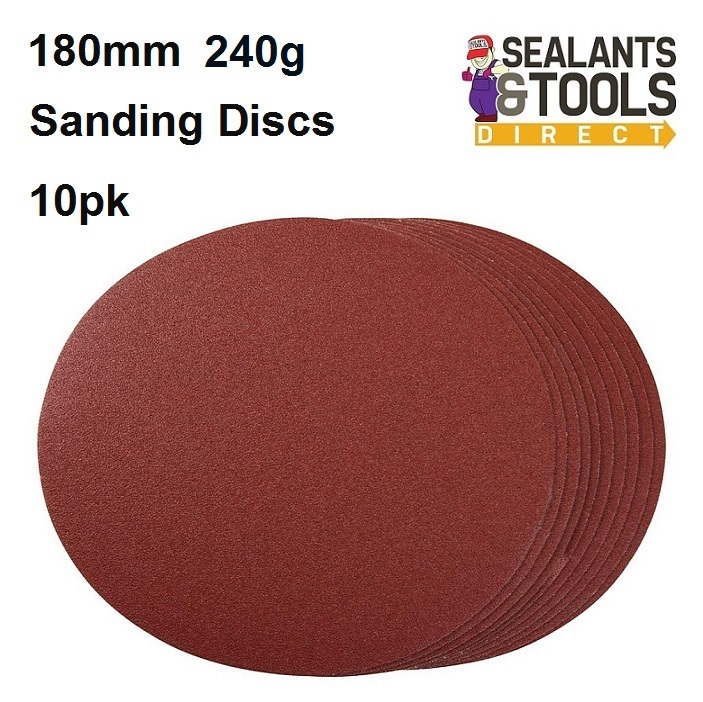 180mm 240g Non-Perforated Round Aluminium Oxide Sand Paper. For use with 180mm sander polishers. You can extend the life of your discs by using a sanding disc cleaning block this removes clogging simply and efficiently. Round Sanding Discs or browse the complete Abrasives and Glass Papers Range.